Bloke and I actually did something together last weekend. We re-felted the roof of the garden shed. 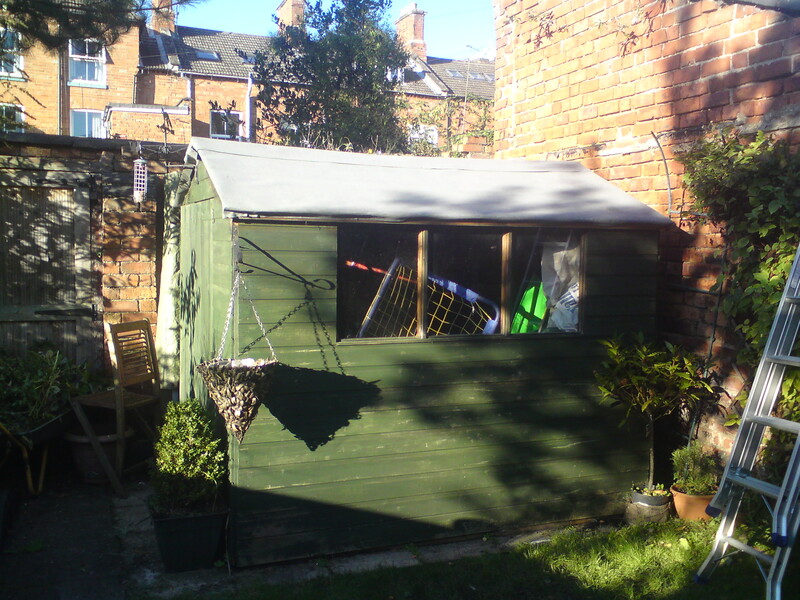 The shed was inherited with the house, and while I’d love to say I use it solely for gardening, it’s inevitably become a dumping ground for anything we don’t want in the house. Lawnmower, kids bikes, portable loo bucket for camping, several paddling pools and various sports equipment. In short, it’s a tip. It’s also warped at the back, but as we can’t see it, we don’t worry about it. So when the roofing felt finally came adrift and was flapping around, letting water in, I bought the cheapest roofing felt (still £17) and we made time to put it on. It was ridiculous. The felt ripped like paper every time you tried to move it, the nails ran out, and I hadn’t had the intelligence to buy the can of £10 roofing felt adhesive that I had seen but had ignored. Still, it’s better than before, for now anyway. I’m pretty sure the first heavy rain and windy conditions will have the whole lot off again. Oh, and if you end up having to do the same yourself, wear gloves. Bloke and I both had swollen sore hands afterwards, which we think was something to do with the toxic coating. Yuk.